Copyright 2012 Direct Access Elevator: Elevator Los Angeles. All Rights Reserved. We are a full-service independent elevator company providing preventative elevator maintenance and repair, upgrades, full elevator system modernization, ADA compliance, Preliminary California State and Los Angeles City inspection report corrections and order to comply code compliance for industrial, and commercial buildings in the Los Angeles and Orange County areas. Our Los Angeles elevator emergency dispatching service will be available to take your call 24 hours a day, 365 days a year to send a technician when needed. Some of the larger elevator service companies have moved away from the standard elevator service contract. Instead of regularly scheduled maintenance visits, they monitor the elevator remotely only sending a technician for elevator maintenance when statistics show it's needed. At Direct Access Elevator, we know every elevator is different and can't be serviced by a call center in another state. 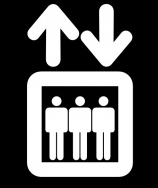 You can be assured that when we say we will be there for elevator maintenance, we will actually be there. We know it's an old fashioned idea but we don't charge you for work we don't perform. If you need elevator maintenance, elevator service, elevator repair, preventive maintenance, elevator PMs, or whatever you prefer to call it, we are here for you. We can service, maintain, repair, troubleshoot and fulfill all of your elevator needs in the Los Angeles and Orange County Areas. We are a certified, licensed and insured elevator company. We are a certified qualified conveyance elevator company (CQCC # CC-11-012898) in the state of California. We are a California licensed contractor (C-11 #967766). Our certified technicians carry a state required CCCM license (Certified Competent Conveyance Mechanic) and a City of Los Angeles Elevator Journeyman license.